Well at least they got some switch dev experience points out of this. So maybe it is the first one in this document? 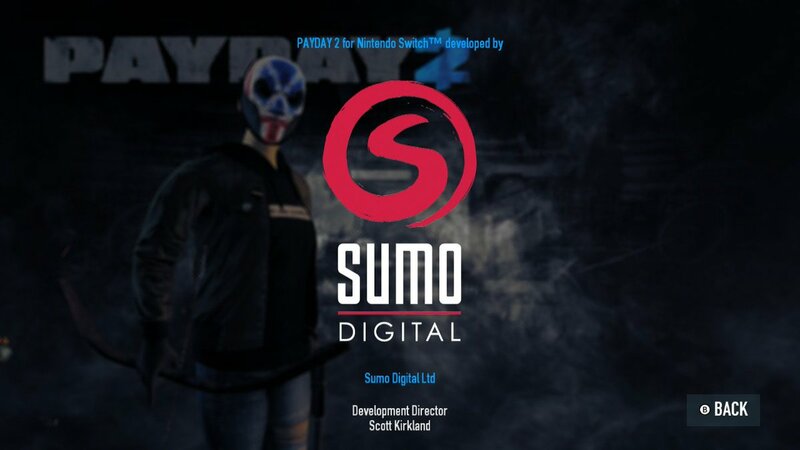 I mean, I can't blame Sumo Digital for getting paid even if Overkill is a scummy company that STILL produced an out of date version of Payday 2 despite all the marketing. Explains why it actually runs okay on Switch - based on the lack of impressions prior to the launch i was expecting a complete mess. Let's hope the original FPS is less underwhelming. 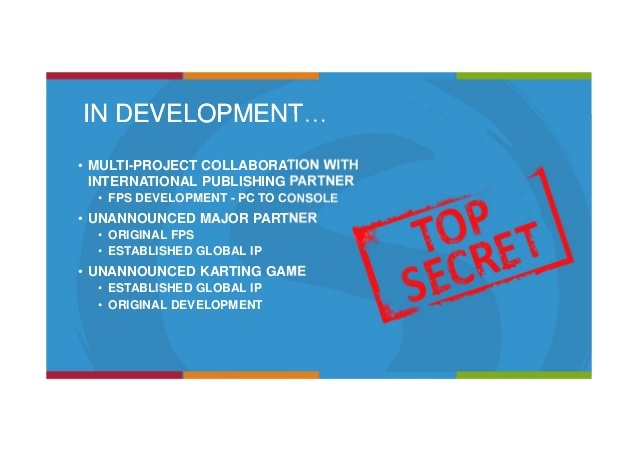 And if so, doesn't "multi-project" imply there is more to come? Overkill does have a The Walking Dead FPS game in development, and a new IP called Storm which is also an FPS. Seems to run great but is missing tons of content and voice chat. I would blame the content on Overkill. Having played it for around 15 hours I can say it's a really competent port. Mild slowdown in some levels but nothing crazy and it's more up to date than other console ports I believe but still not up there with PC. As Richter said, that's probably an Overkill problem. Well, they already have some with Snake Pass, but this does mean they can offer up help for titles that run on Diesel Engine, should anything ever run on it again. From statements made from Overkill this week, isn't it akin to updates since June 2017? Which I think is update 147 out of 171, which is what the PC version currently sits at. I think they are missing 50 updates from what I read on Reddit. Will have to look it up for you. Well, at least they got paid. Here was the last info I had read, which was a day after the Polygon article. Not sure if this is damage control or their actual mentality towards support, but the biggest issue I have in diving in, is the price tag. I'd hope this would launch at $30, $40 max. I mean, the game was good back when Version 117 came out and always had a ton of content so it's not complete garbage but there have been significant updates to the mechanics since then. For example the AI buddies aren't nearly as crap anymore on the PC.